Experimentation starts from the colour and finds new ways to use the material, thus creating an architectural space and making contemporary living the expression of a new lifestyle. Each door is an authentic and lively design process that includes classical features and new trends. 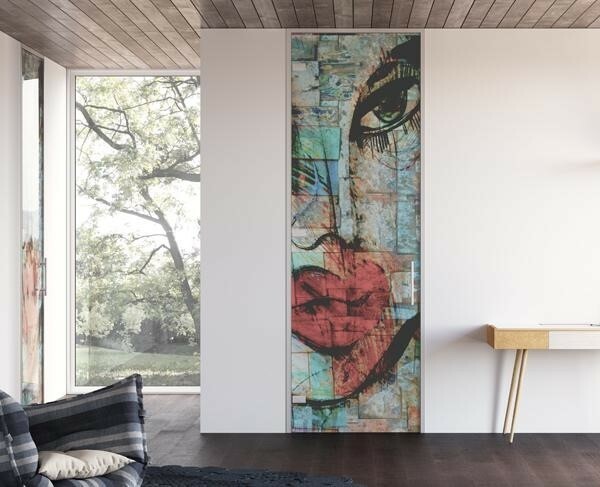 Transparencies, reflections, colour effects, aluminium and wood inserts, fabric strips contribute to the manufacturing of unique works of art. Different techniques are used: sandblasting, combination of glass and textile layers, images printing between glass layers, etc. 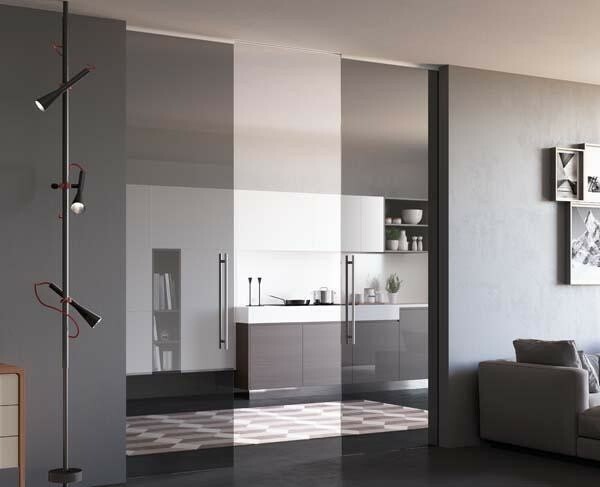 Different sliding systems are available in order to satisfy the aesthetic requirements of each home setting.